Maybe we're not a good simulation? Obviously "glitch art" becomes more and more passé and kitschy as digital technology expands and overtakes more of our lives. However, I still am drawn to it, beyond just an aesthetic quality. Yet the more I think about it, the more I realize that it's not so much about what the glitch looks like, it's the fact that it's happening. It's about a specific moment in time, more than it is about the result - which I think makes sense, given that I work so much with time based media. In some ways, it reminds me of why I love photography so much and the capturing of a instance - or an interpretation of an instance - along a linear forward movement of time. I'm also aware of the data mosh, of which artists like Takeshi Murata have excelled in. For me, the attraction still lies in chance and the lack of intent. The above are all images and gifs that I have encountered online, and that have been distorted unintentionally as a result of the media/language of the browser, combined with internet speed and CPU capability. They are unique to my experience of viewing at a specific place and time. I've now started to record the date and time that I find such glitches, and I am thinking I'll go even further and describe what I was doing when the glitch occurred. I'm still formulating all of this out in my head, but I thought a short note was appropriate to just say that I'm aware of the dialog that's happening. I'm also very much aware of all the other artists who are working in similar manners. 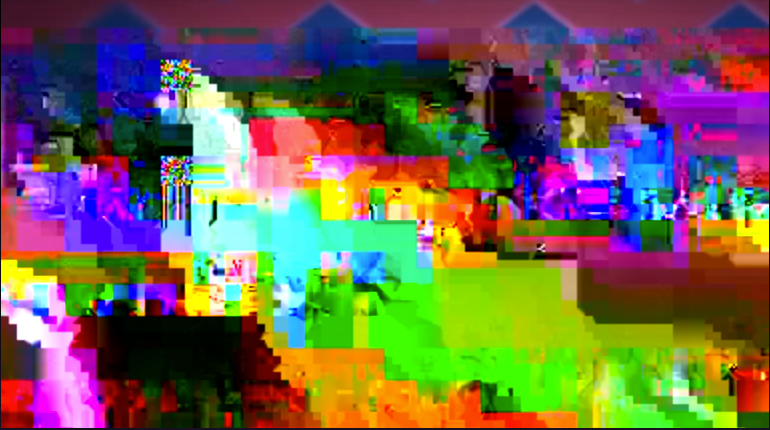 Knowing this kind of "glitch art" has been mined since artists started working in video, I am always delightfully surprised when I come across those who are bringing new ideas to the discussion. Below you'll find an ongoing list of such artists and their work. The above two images were taken from a viewing of RuPaul's Drag Race: Untucked, season 6, episode 8 - Drag Queens of Comedy. It was during a segment where Trinity K. Bonet was recalling the support that RuPaul gave her for finally overcoming her own self made obstacles of doubt within the competition. 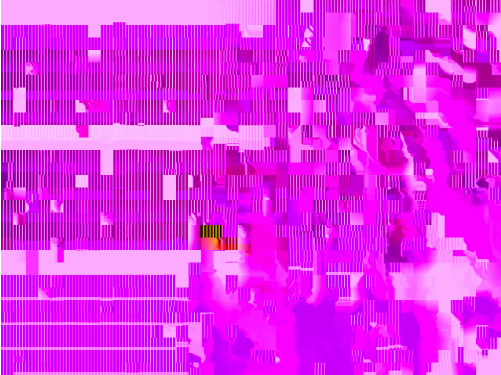 The glitches occurred while viewing the show through the Logo TV app for iPad iOS 7, on Tuesday, April 15, 2014 at 11:57pm. Kylie Minogue from the Glaad Media Awards, May 3, 2014. Video accessed Tuesday, June 17, 2014 at 10:57 pm. Someone made this, but I don't know who.